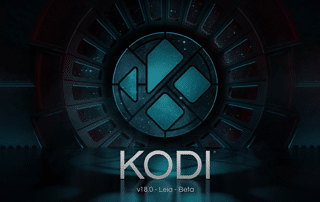 First, install Kodi v18. Regular Kodi in Windows Store is — as of January 2019 — still the older, „stable“ v17.6 which will certainly NOT work due to reasons I won’t explain here. Go to https://kodi.tv/download instead and grab either the „pre-release“ build (currently that is RC5.2) or the nightly „development“ build. I went with RC5.2 pre-release, 64bit. Next, download a working Netflix plugin. Finding a version that works was a challenge for me, because this master version 0.13.21 by asciidisco (https://github.com/asciidisco/plugin.video.netflix) allowed me to login but I could not play any videos. One recommended fork of a fork of a fork, beta v0.14 by CastagnaIT (https://github.com/CastagnaIT/plugin.video.netflix) even rejected the login credentials to Netflix. Next, start Kodi and download and activate Inputstream.adaptive plugin from the main Kodi repository. Finally close/restart Kodi and try to open Netflix plugin, login and see if you can watch things. I managed after several Kodi restarts and I don’t know what was missing before that. I was able to log in, see the shows, videos but when trying to open any video, it somehow did not play. Regarding manual quality setting: some things can be configured in the Netflix plugin settings, but it allows you to go via shortcut to the Inputstream.adaptive settings. In these two places you can set various options, including the one that allows you to manually set the minimum/maximum bitrate, which did not work very well for me, but also switch from Automatic to Manual quality setting. It then allows to select video quality when you start playing some Netflix video. The issue with manual setting is that it always starts for me with the very lowest stream available (usually 320×240 at some 256kbps) and for each video I need to manually pick the higher stream. Anyway for me personally keeping the quality setting at Automatic works fine and I always get a nice fullHD stream so I don’t care. Even this manual setting for each video may be better solution than being forced to blocky resolution if the default Netflix client chooses to not prefer HD and does not allow you to force anything better. Ideally the min and max bitrate should do the job that even at the start it does not pick the worst quality but starts already with e.g. 720p — for me this did not work, unfortunately. Streams available when you set quality to Manual. Unfortunately, the first one (320×240, 235kbps) plays always as default for me when I set Manual. On Automatic quality, I cannot enter this selection menu but I tend to receive fullHD. Note that I have only fullHD monitor available and did not allow the experimental h265/hevc profiles allowing to pick resolutions above 1080p such as 1440p or 2160p, a.k.a. 4K. Netflix plugin settings allow you to Enable HEVC (h.265) profiles that allow playing 1440p and 2160p (4K) videos. Unfortunately I was not able to play anything at all after allowing that due to some bug that made whole Kodi freeze when opening any video. No idea what causes that for me, normally I can play h.265/hevc videos on VLC on the computer without any issues, even 4K ones (although downsized to 1080p screen). Comments whether you succeeded in setting up Netflix on Kodi using this or any other tutorial, or some remarks I did not mention here, are of course welcome.